Weekly leaderboard @ SugarHouse Online Casino - Play now! My Stats How do I earn points? My Sugarhouse What is this? 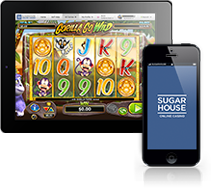 Build your own SugarHouse by logging in and playing your favorite slots every day. Earn Bonus Money at every new level you reach and get on the Leaderboard to win up to $170 in prizes!